Well... I did it again. 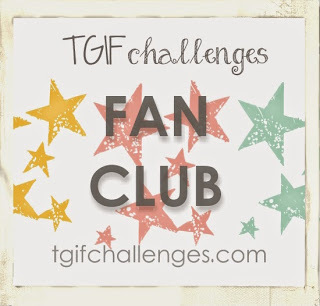 The week before Halloween and I suddenly disappear from my blog... SIGH... 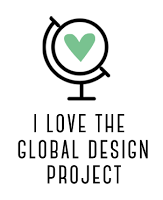 I even had projects ready to share... 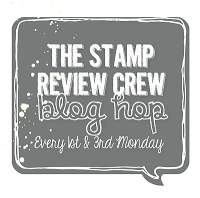 It's not for lack of crafting that I didn't blog, in fact, it's the complete opposite. I was MAJORLY crafting! Crafting Halloween costumes for my boys! I love Halloween for the pure fact of creating costumes!!! 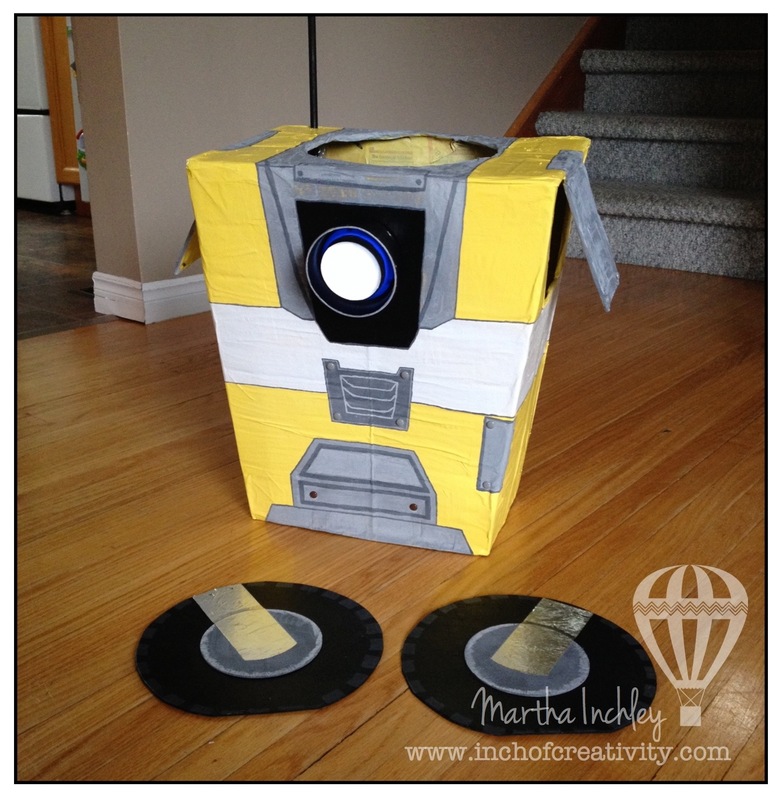 I'm not sure if you remember my Halloween costumes from last year, but they turned out so well that my husband and I decided that we wanted to create cardboard box costumes again this year. 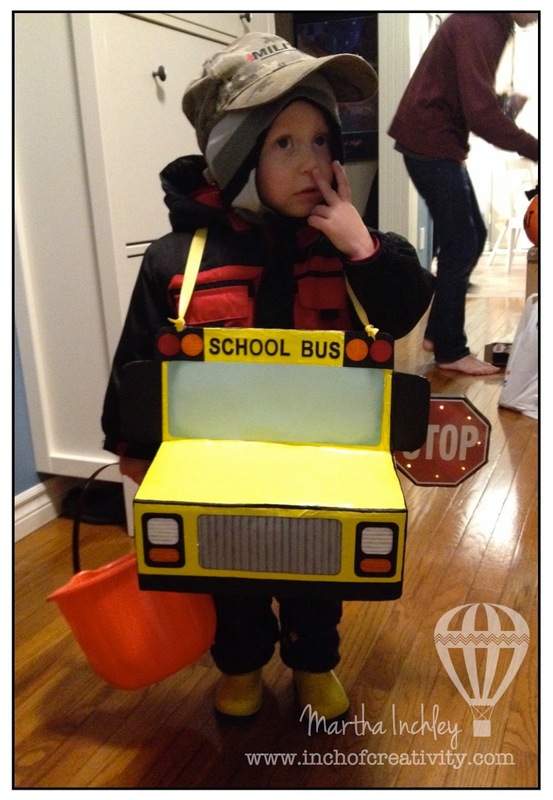 My oldest son (4-1/2) wanted to be a robot and my youngest (2-1/2) wanted to be a school bus driver... yep that's what he said. So we ran with it! I have to admit that I'm not as satisfied with these costumes as much as I was with last years... however, I'm learning as a mom, that sometimes you just have to let perfection go and keep your sanity. Go to bed and get your rest and accept crooked as crooked and know that your kids are going to love it and never even notice the little imperfections. 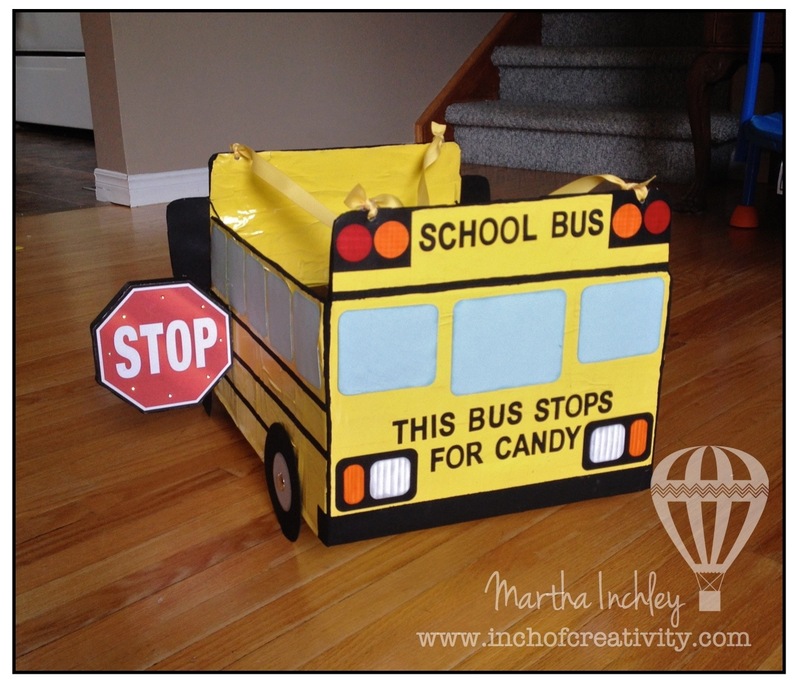 Here is my youngest son's school bus costume. 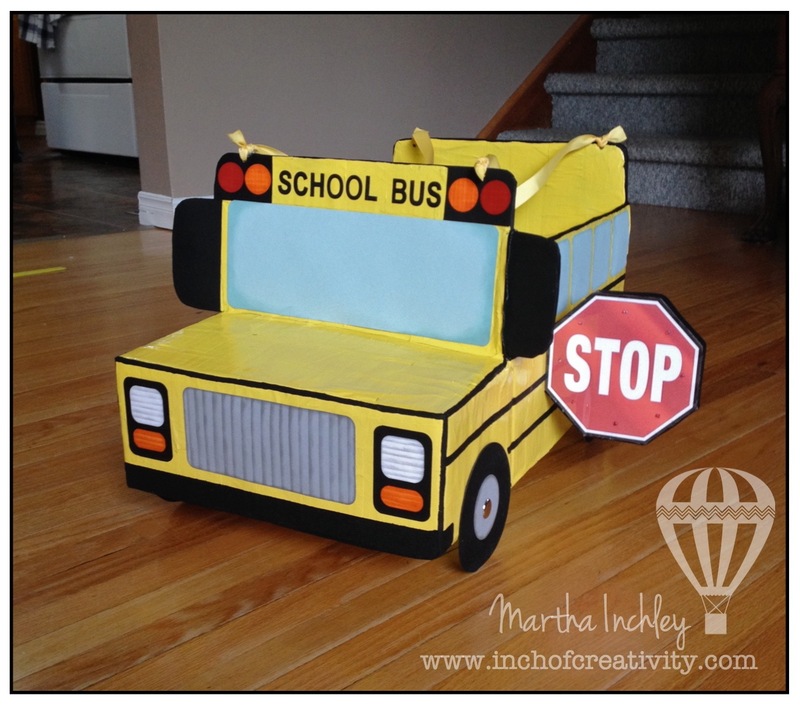 It is made out of a diaper box that I cut and shaped. Cardboard is flimsy and creases easily, and chances are the child is going to fall in it... so to keep the sanity, I paper maché it (inside and out) and make it extra strong. In the long run, It is so worth the extra step! Once my paper maché dried, my hubby spray primed and spray painted it for me. Adding the details is the most fun and yet, the most frustrating part. Luckily I had my good ol'Stampin' Up! supplies to help me out. I created the lights, windows, head lights, grill and lettering from SU cardstock and coordinating inks. To give the details some texture and depth, I used a sponge dauber and a scrap piece of paper to daubed in lines of ink. I also sponged daubed around the edges of every piece. 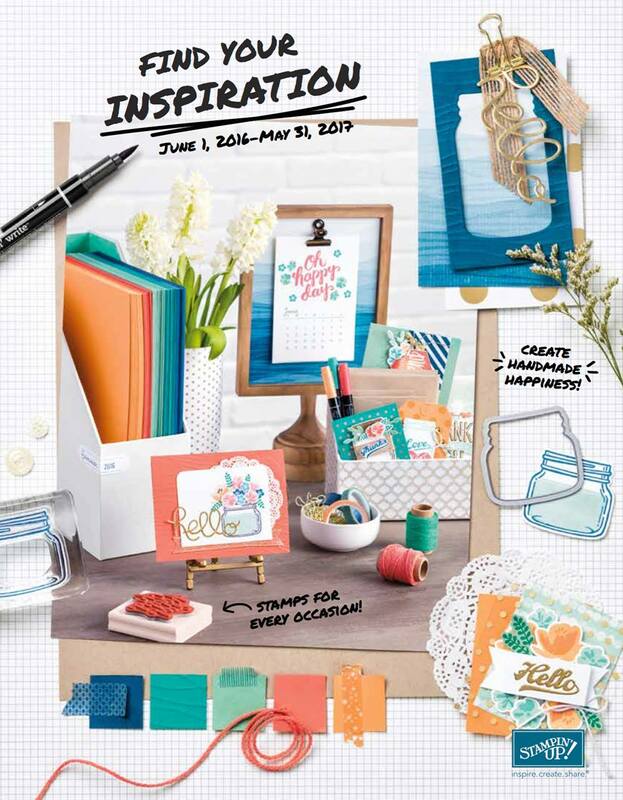 I used: Basic Black Cardstock, Whisper White Cardstock, Smokey Slate Cardstock and Ink, Real Read Cardstock and Ink, Pumpkin Pie Cardstock and Ink and Soft Sky Cardstock and Ink. For my lettering I used the Little Letters Thinlits. They were perfect for this. 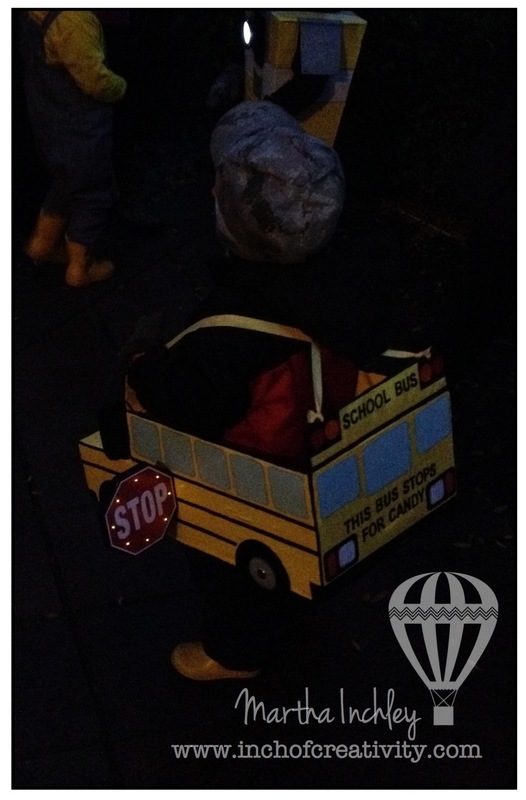 The one thing that I love about my son's costume was the stop sign! It just completed the whole costume, especially since it lit up and blinked! Here's a picture of it lit up in the dark! Next up is my oldest son's costume. He wanted to be a robot, so daddy and him came up with a design. 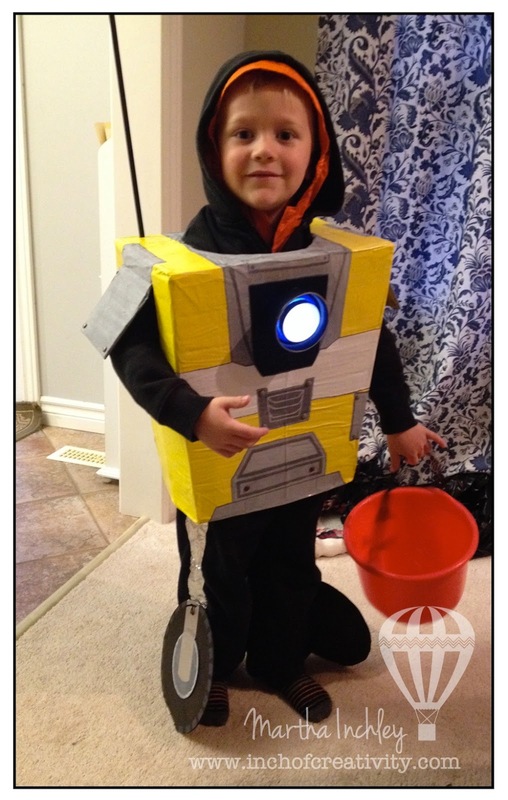 If you're a gamer, you may recognize this robot as Claptrap from borderlands! The body was made from a cardboard box and then paper mached, primed and painted. This robot has wheels for feet, so we cut out wheels from chipboard, painted and detailed them, and then along with some aluminum foil tape, we attached them to a pair of black pants. 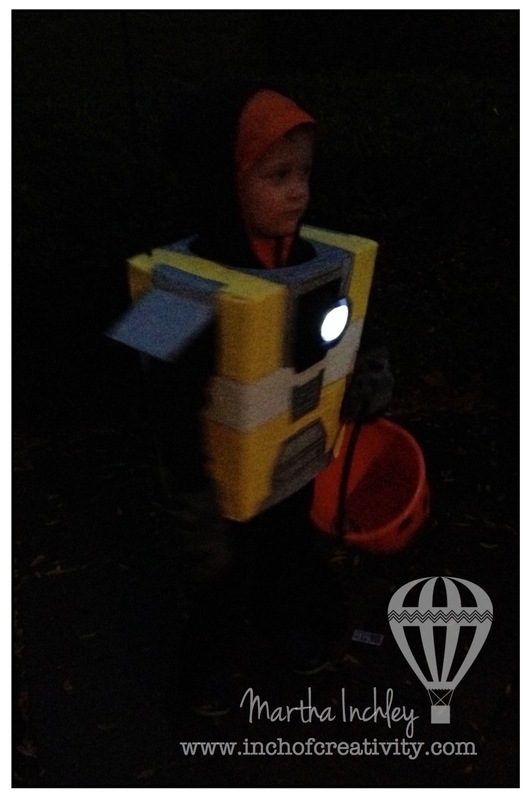 We even had a push-on light, mounted on the front of his costume. My son loved it! Mommy loved it too, as I could see both my boys in the dark with no problems! One thing I'm find disappointing on Halloween is pictures. 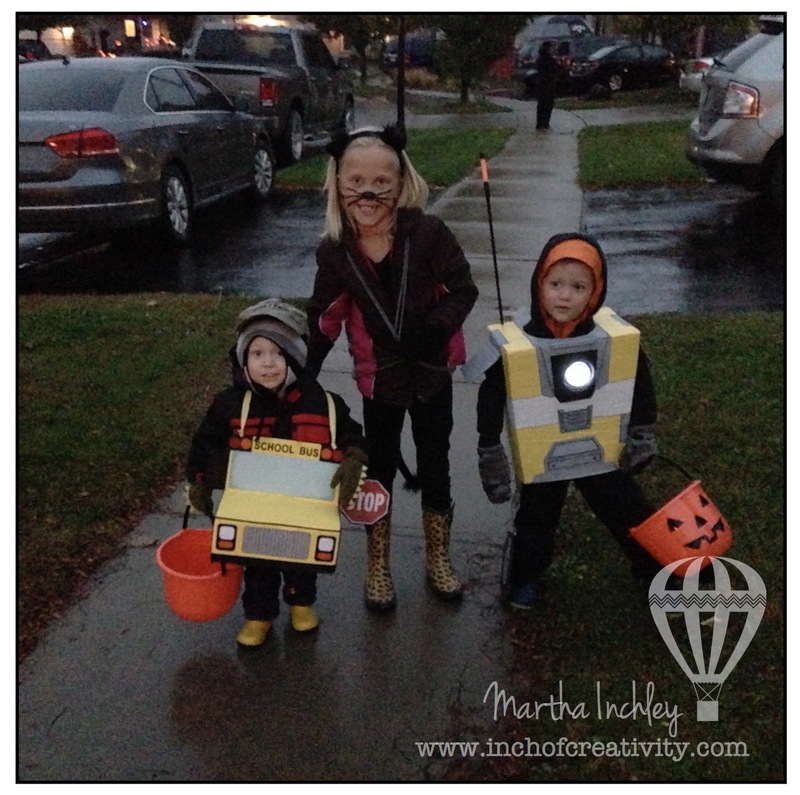 It's so hard to get good pictures of the kids in their costumes as they're so excited to go...go...go! But oh well... something is better then nothing. Luckily my friend Tracey was able to snap this great photo of the boys with her little "Black Cat"! They all had a great time! Love the bus!!!! Would you be willing to sell it to me? Lol! Thank-you! I wish I could, but my son has been playing with it since halloween and it's a little beat up now!